US Defense Secretary Jim Mattis said there was "possibly some good news" on the summit, while White House Press Secretary Sarah Sanders told reporters: "If the meeting takes place on June 12, we will be ready." Secretary of State Mike Pompeo spoke by phone with South Korean Foreign Minister Kang Kyung-wha, and the two agreed to remain "closely coordinated" in efforts to create conditions for dialogue with North Korea. They "agreed that must continue until North Korea embraces denuclearization," according to a US readout of the call. Trump's cancellation of the summit had blindsided treaty ally South Korea, which had brokered the remarkable detente between Washington and Pyongyang, with President Moon Jae-in calling the move "shocking and very regrettable." In a letter to Kim, Trump blamed Kim's regime for his decision to call off the summit, and warned North Korea against committing any "foolish or reckless acts" while also highlighting America's "massive and powerful" nuclear capabilities. First Vice Foreign Minister Kim Kye Gwan called Trump's decision "unexpected" and "regrettable" but sounded a conciliatory tone, saying officials were willing "to sit face-to-face at any time." 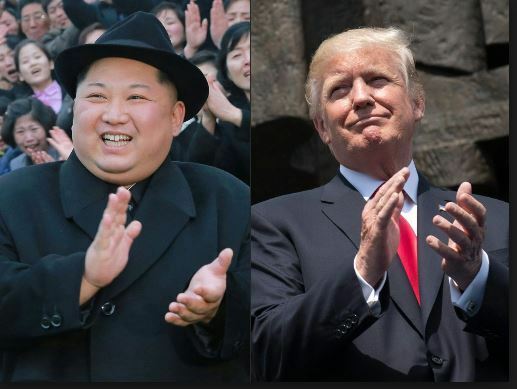 Just before Trump announced the cancellation of the meeting, North Korea declared it had "completely" dismantled its nuclear test site in the country's far northeast, in a carefully choreographed goodwill gesture. Both Pence and Trump's hawkish National Security Advisor John Bolton had raised the specter of Libyan leader Moamer Khadafi, who gave up atomic weapons only to die years later at the hands of US-backed rebels. Joel Wit, founder of the respected 38 North website which monitors North Korea, said Kim's hand has been strengthened regardless of whether the summit goes ahead because recent weeks have seen him forge connections with Chinese President Xi Jinping, as well as with Russia and South Korea. "If the United States tries to come back to the table, (Kim) may toughen up his negotiating position feeling that his political position has been strengthened."